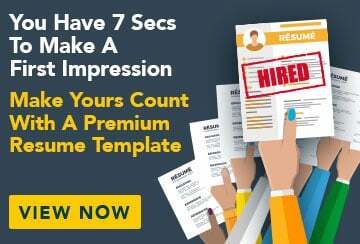 You’ve got a head for numbers and like solving problems. A career in finance could be for you, and it starts with this Bachelor of Business (Accounting and Finance) course from Swinburne Online. This qualification is designed for anyone seeking to enter the exciting and diverse field of business accounting. You’ll master the key skills and knowledge required to help businesses navigate an increasingly regulated and complicated world, and take the first step towards a dynamic career. With a focus on accounting and finance, this business course will help you build both the management skills and specific financial knowledge required to analyse investments, source foreign exchange deals, and assist with planning, risk management and investments for business. Designed by practising accountants, this course ensures you’ll be learning from and connected to leaders in your future industry, setting you up to start an exciting new career immediately after graduating. Completion or partial completion of an approved tertiary degree. Applicants must also fulfil English language requirements. Why study with Swinburne Online? With strong links to industry and a focus on practical skills, Swinburne gives students an edge in the competitive job market. Placing in the prestigious QS Graduate Employability Rankings, Swinburne shapes graduates who are confident and competent in meeting the challenges of a fast-changing world. Over 100 years, Swinburne has educated more than 150,000 graduates in areas ranging from science, technology and engineering through health, education and business to media, design and innovation. Swinburne Online has drawn on more than 20 years’ experience in the online tertiary education space to help over 9,600 students graduate with an industry-recognised qualification. As a Swinburne Online student you’ll have access to a range of support options to help you get the most out of your learning. A dedicated team of Student Advisors are available seven days a week to answer your questions – academic, technical or administrative. You’ll also be assigned an eLearning advisor who will be your academic point of contact for the duration of your course. Upon successful completion of this course, you will receive a Bachelor of Business (Accounting and Finance) from Swinburne Online. This qualification enables you to seek employment in a range of finance, accounting and management roles across the private, public and not-for-profit sectors. You may choose to seek employment as an accountant, financial analyst, risk management specialist, or tax analyst. You may also choose to undertake further study in order to specialise your qualification. This course is accredited by Chartered Accountants Australia and New Zealand and Certified Practising Accountants Australia. If you are an Australian citizen you may be eligible to receive a government study loan through HECS-HELP. Swinburne Online also offers a number of scholarships and grants as a means of promoting equality, recognising excellence, and alleviating financial hardship. Enquire now for more information. Fill out this form and a Study Consultant from Swinburne Online will get back to you. 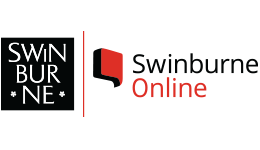 How can Swinburne Online help?